My latest recommendation is one of my favourite novels: The Screwtape Letters by C.S. Lewis, a book that has managed to retain a great deal of its freshness and power in the almost seventy-five years since it was first published. 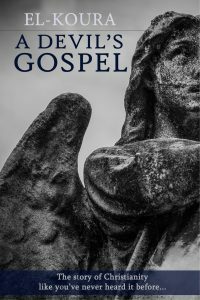 This is the Biblical narrative in a way you’ve never encountered it before—the story of Enoch, an angel who is swept up in the war against God. He fights for Lucifer, and falls with him when the rebels are overthrown. Although Enoch finds renewed purpose in Lucifer’s mission—to uncover and thwart God’s plan for the strange new creatures of flesh and blood—he is haunted by the memory of Heaven, tormented by jealousy of these creatures of matter, and terrified by the thought that God’s plan for their redemption will end with his own annihilation.